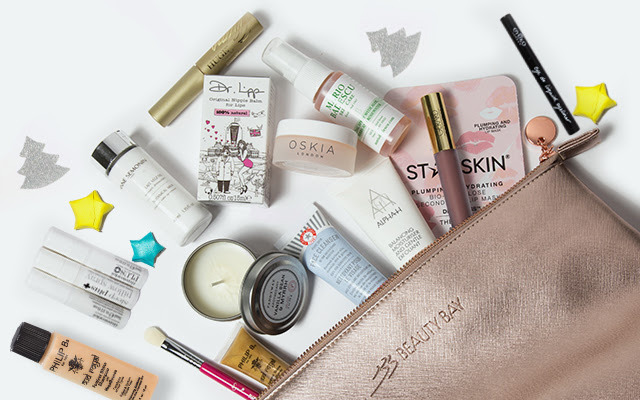 For Holiday 2016, Beauty Bay is offering a huge gift bag with purchase - the shimmery rose gold bag contains 17 essential makeup, skincare and hair care products to see you through the stress of the Holiday season and beyond. Beauty Bay ships worldwide, and the Gift Of Beauty Bag is free with purchase of £120. Stocks are limited. A few days ago, I showed you Beauty Bay's limited edition exclusive makeup bags, containing everything you need for full looks - including Makeup Geek eyeshadows. This is the time to grab a couple of those, and finish your Christmas shopping, so you get a very generous gift with purchase! 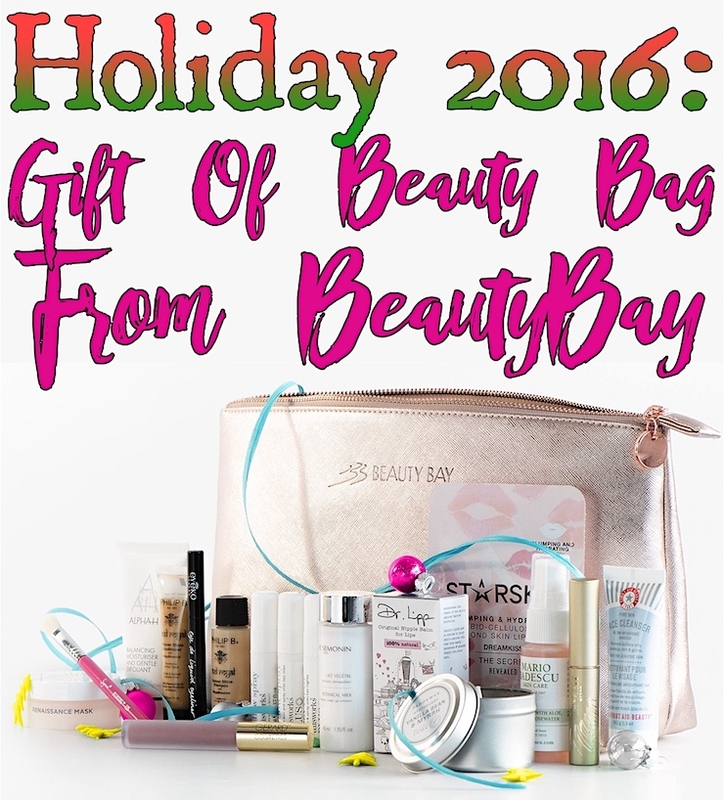 Scroll down for the contents of the Gift Of Beauty Bag from Beauty Bay for Holiday 2016. That's quite a bit of swag! All of that is free with purchase of £120 - I highly recommend the Alpha-H With Love X'Mas Kit or the Liquid Gold Trio (three for the price of one). The First Aid Beauty Peace, Joy and Fab 5-Piece Collection is another value deal. Or, if you fancy a nice palette and some makeup brushes, look around here. I'm particularly thrilled that they've included gems such as Oskia's Renaissance mask and Alpha-H's Balancing Moisturiser. This GWP is a great way of trying out some lovely skincare and makeup from a variety of brands. It will sell out quickly, so get going if you want one!